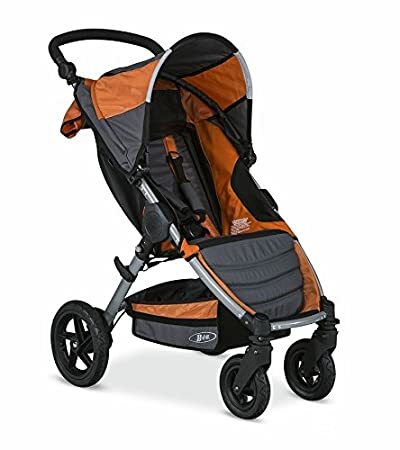 Jeep Cherokee Sport Stroller now is on sale at Amazon.com for only $46.35 (reg. $79.99) with Free Super Saving Shipping & Free Returns. Pretty good reviews on this stroller. Walmart 现在 this Graco FastAction Fold Jogger Click Connect Jogging Stroller in Azalea 降价后 for just $140 shipped (regularly $193.97). This stroller features one-second, one-hand FastAction folding as well as a one-step, secure connection of infant car seat to stroller. Walmart.com where you can score this Cosco Lift & Stroll Travel System in Bloom for just $96.88 shipped (regularly $126.97). This travel system includes a stroller designed for a child up to 50 lbs and a car seat for rear-facing children 4-22 lbs and up to 29″. The stroller folds with just one hand and a quick pull upward and the infant seat attaches to the stroller in one quick step. Walmart.com now this Graco Breaze Travel System Stroller with SnugRide Click Connect 35 Infant Car Seat in Davis, price cut for just $139.88 shipped (regularly $299.99!). 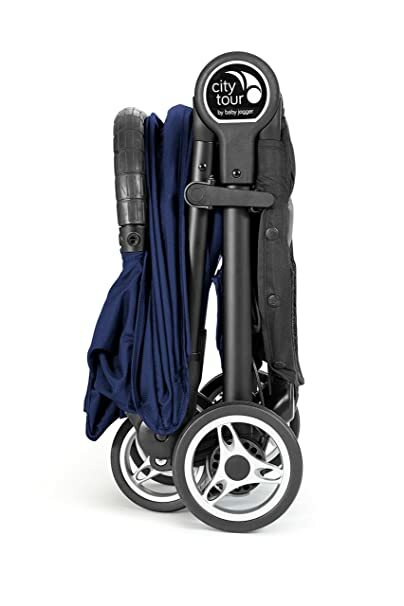 The Graco Breaze Click Connect Travel System includes the easiest folding umbrella stroller and the top-rated SnugRide Click Connect 35 Infant Car Seat. The stroller accepts all Graco Click Connect infant car seats and holds a child from birth to 50lb. An extra large canopy with UV 50 protection and pop-out visor offers shade from the sun to keep baby comfortable. It features lockable front swivel wheels with suspension and, once folded, it automatically locks and has a carry strap. A removable parent cup holder and easy-access, extra large storage basket make Breaze a full-featured stroller without compromise. Walmart.com now this very highly rated Baby Trend Expedition Jogger Stroller in Millennium print for only $49.88 shipped (regularly $85.97). This stroller is designed for babies and children from 6-50 pounds and features a 5-point safety harness with a tether strap. It is equipped with an adjustable, reclining, padded seat and all-terrain tires making it easy to push. 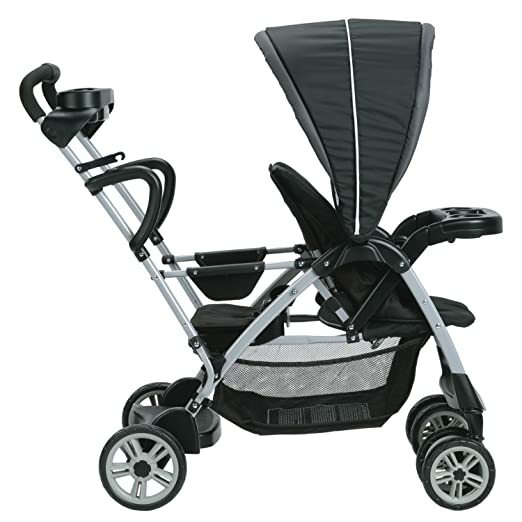 This stroller has a child tray with two cup holders and a convenient parent tray with covered storage and cup holders. Walmart.com now they are offering this Graco Modes Click Connect Convertible Stroller in Solar for just $138.67 (regularly $249.99) when you choose free in-store pickup! This stroller converts between an Infant Car Seat Carrier, Infant Stroller and Toddler Stroller – with 10 different riding options total. It also accepts all Graco Click Connect infant car seats with a secure one-step attachment. 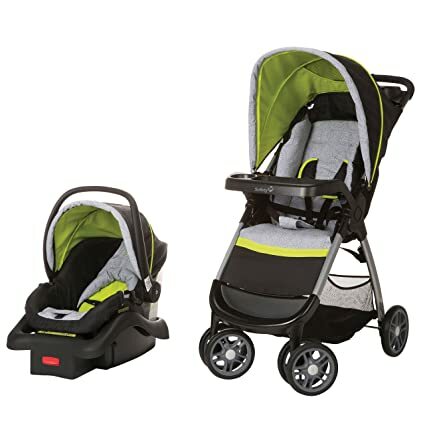 Walmart.com now you can buy this Graco FastAction Fold Sport Click Connect Travel System in Gotham for just $143.12 (regularly $219) when you choose to pick this item up at your local Walmart. This Travel System includes the Graco SnugRide Click Connect 35 Infant Car Seat. It is designed to help protect your infant from 4 to 35 pounds and up to 32-inches and has a removable infant body support that cradles your baby’s head and neck. The set also comes with a LATCH-equipped stay-in-car base. 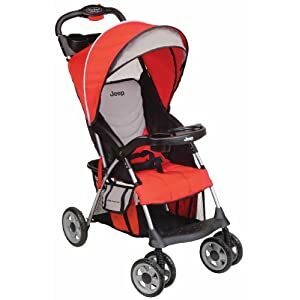 Walmart.com now has dropped the price on this highly rated Kolcraft Cloud Umbrella Stroller in Scarlet Red to only $16.88 (regularly $28.97). Choose free in-store pick up. This foldable stroller is suitable for children up to 40 lbs. and the canopy protects against sun and rain. Walmart now this Delta Children LX Side by Side Tandem Umbrella Stroller in lime green on sale for just $43.30 (regularly $80.33) after you select for free in-store pick up. This tandem stroller features a lightweight frame, 360 degree shock absorbing front wheels, multi position reclining, a cup holder, a 5-point harness with soft shoulder pads, and a large canopy to protect your kids from sun, wind, and rain. Amazon.com (Prime Members only) now you can buy this Graco Room for 2 Click Connect Stand and Ride Stroller for just $75.39 shipped (regularly $149.99). Ideal for walking and running errands with two children, this stroller offers front and rear seats that each hold a child up to 50 pounds. The front seat features a multi-position recline and can even be placed in a fully flat position for naptime. Your older child can also opt to stand on the sturdy platform. 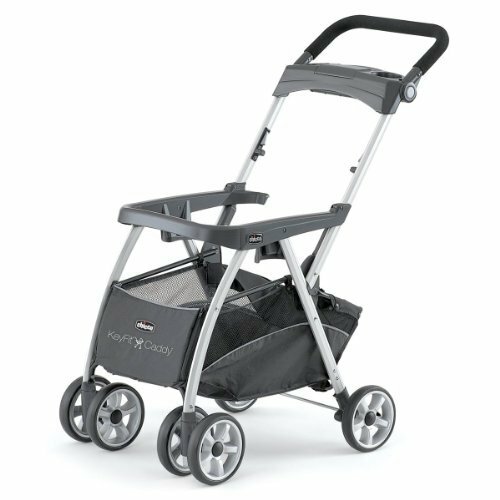 This stroller also includes a parent tray with two deep cup holders and extra storage space for keys, a wallet or phone. Amazon now you can get this Graco FastAction Fold Jogger Click Connect Stroller for only $93.89 shipped – regularly $189.99! This stroller fits all Graco Click Connect Infant Car seats. It folds up easily and fast with one-click, plus it features lots of storage! Hurry, Amazon now you can get this highly rated Chicco Keyfit Caddy Stroller Frame for the lowest price it’s been of just $67.14 shipped. This stroller frame is designed to fit the Keyfit Infant Car Seat and has a light aluminum frame, compact one hand fold, large expandable basket and 4 position height adjustable handle. Other features include all wheel suspension, toe tap locking brakes and a parent tray. 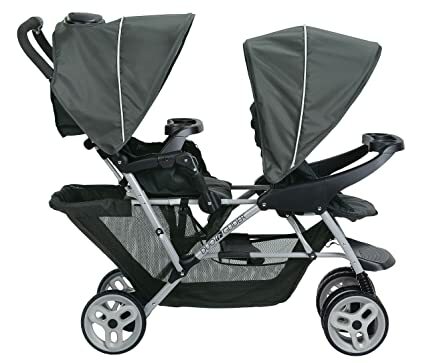 Amazon now you can get this Chicco Cortina Together Double Stroller in Ombra for just $239.99 shipped (regularly $299.99). 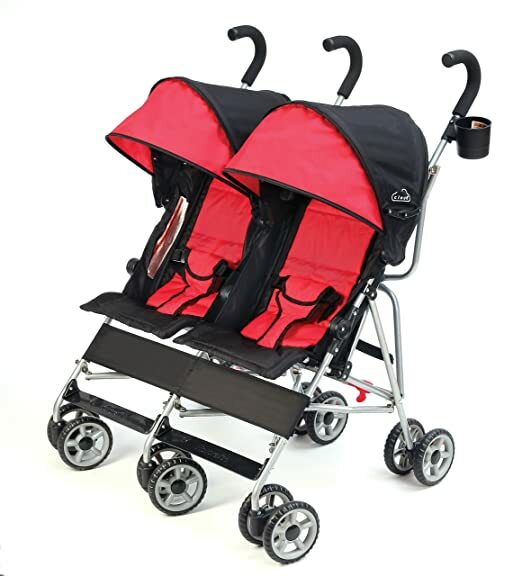 This double stroller makes it convenient to travel together with 2 infants, 1 toddler and 1 infant, or 2 small toddlers. This stroller has the same click-in Key Fit attachment as the Cortina stroller and can accommodate a car seat in both the front and rear seats. Walmart.com now get this Evenflo Charleston Jogger in Sky Blue for just $75 shipped! This is a hot price as this same jogger stroller is $199 on Target.com. 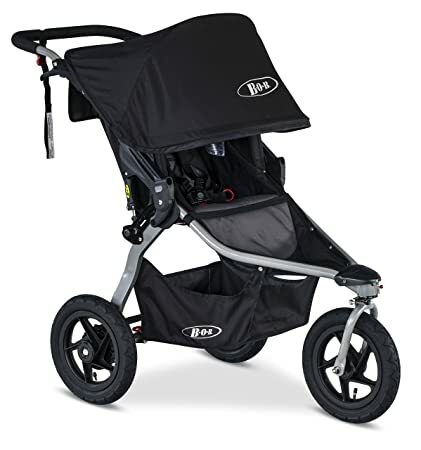 This jogger stroller has swivel lock wheels, all terrain tires and adjustable parent handles making it perfect for jogging! Plus, it has a large baggage area, parent cup holder and sun canopy for your kiddo so it’s great for everyday errands too. AND it’s easy to fold up and fit in your trunk! 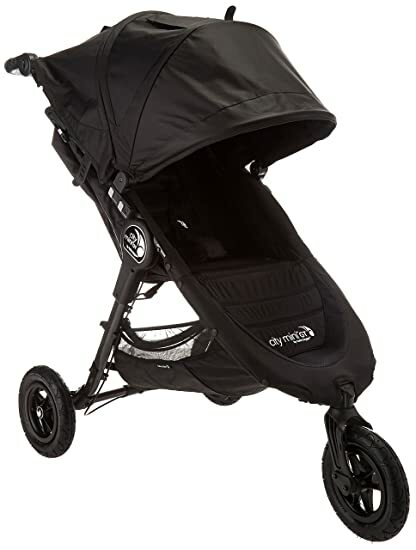 Amazon.com now you can get this Baby Jogger 2016 City Mini GT Single Stroller in black for just $263.55 shipped (regularly $345.88)! This 3-wheel stroller features all-terrain non-flat tires with front wheel suspension and an adjustable handlebar for a smooth, comfortable ride for both parent and baby. The plush, padded seat reclines nearly flat, and the large adjustable sun canopy has peek-a-boo windows. 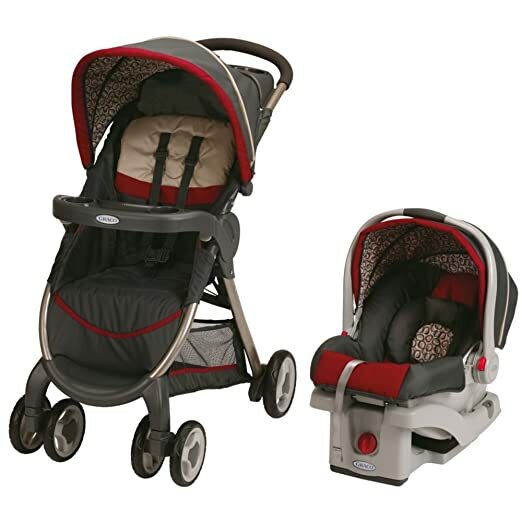 Amazon.com now you can get this highly rated Graco FastAction Fold Click Connect Travel System Stroller in Finley print for only $115.49 shipped (regularly $199.99). This travel system includes both the SnugRide Click Connect 30 infant car seat AND the lightweight stroller that features a one-second and one-hand fold! The stroller includes a pivoting child’s tray with cup holder, an extra-large storage basket and parent’s tray with two deep cup holders, and it’s self-standing when folded. 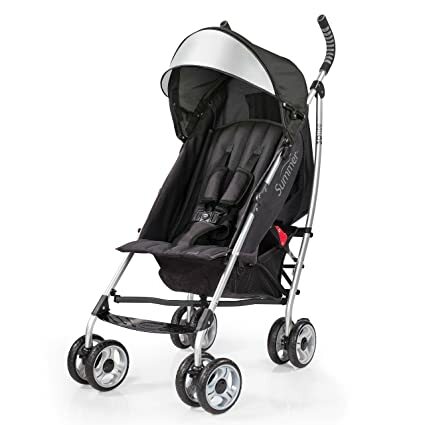 Amazon now you can get this highly rated Summer Infant 3Dlite Convenience Stroller in black for only $42.29 shipped (regularly $79.99) after you clip the $7.50 digital coupon. This sturdy stroller has a 5-Point harness and reclines giving your child a more comfortable ride for longer trips. It has a storage bin underneath, cup holder, rear storage pocket and a large canopy with an extra pop out sun visor. Walmart.com now you can get this Graco Comfy Cruiser Click Connect Travel System in Pammie for just $89 shipped (regularly $160). This 3-Piece Travel System comes with a car seat base, rear facing car seat that fits babies 4lbs-30lbs and stroller that holds kids up to 50lbs. The one-click system makes it easy to get your baby and car seat in and out of the car and stroller! Amazon now you can get this Graco DuoGlider Click Connect Stroller in Glacier for just $81.49 shipped – regularly $169.99! 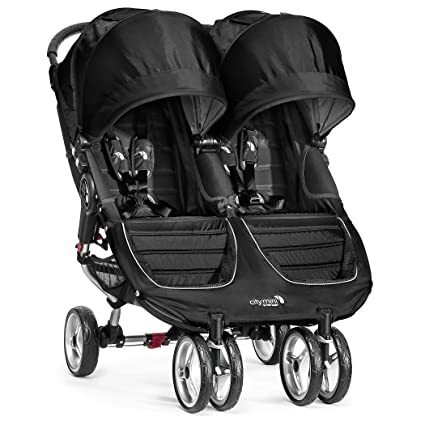 Amazon now this Baby Jogger 2016 City Mini Double Stroller in Black and Gray for just $299.99 shipped (regularly $449.99)! This lightweight double stroller offers seats that recline to a near flat position so your babies can nap while you stroll. It also features vented seat tops, retractable sun canopies, a large under-seat storage basket, and seat back storage compartments. ToysRUs.com now you can get this Graco Views Stroller Travel System with SnugRide 35 LX Infant Car Seat in Frankie for just $134.99 (regularly $269.99), Use your unique 25% off promo code found here, Final cost $101.24 and Choose free in-store pickup you will receive a FREE $5 Promotional eGift Card! 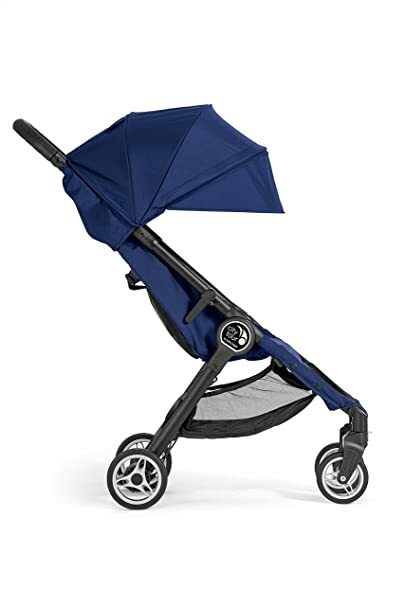 ToysRUs.com you can now buy this Zobo Bolt Lightweight Stroller for just $35.99 shipped (regularly $99.99)! This lightweight stroller offers an easy, no reach standing fold and is even self standing when folded. It has a multi-position reclining seat and an adjustable leg rest to keep your kiddo comfortable. It also has an oversized canopy with an extended visor for extra shade. On Amazon.com you can now get this Safety 1st Amble Quad Travel System with Onboard 22 Infant Car Seat in Polynesian for just $99.99 shipped (regularly $189.99)! This travel system features a stay-in-car base and lightweight frame, so you can get the car seat in and out of the car without waking your baby. The car seat easily attaches to the stroller with a simple click and the stroller features a large storage basket and tray with 2 cup holders as well as an additional storage area for smaller items you need to keep close at hand. Plus, the easy lift and fold feature allows the stroller to fold up using one hand and minimal effort. 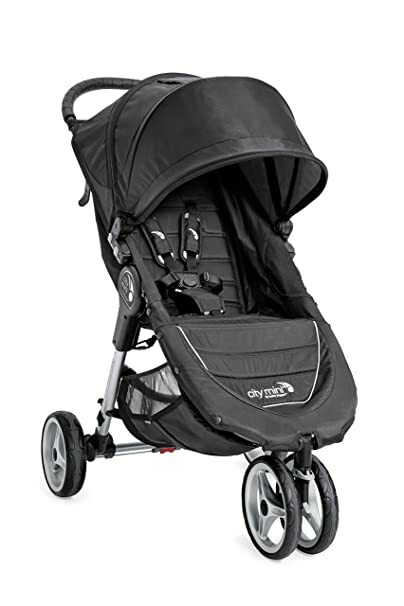 On Amazon.com you can now get this Baby Jogger 2016 City Mini Single Stroller in Black and Grey for only $195.98 shipped (regularly $259.99)! This is a lightweight 3 wheel stroller with front wheel suspension! It features a reclining seat, sun canopy and holds a child up to 50 pounds. On Amazon.com you can now get this BOB Motion Stroller for just $139.99 shipped (regularly $349.99). This stroller has a lightweight and compact aluminum frame, swiveling front wheels that can lock forward for added stability and a rugged suspension system. It is also able to recline in multiple positions and has an adjustable 5-point harness. This stroller instantly becomes a complete travel system when you use the included CLICK & GO adapters with a matching BOB B-SAFE Infant Car Seat or any BRITAX Infant Car Seat using CLICK & GO (infant car seats sold separately). It is also compatible with other major infant car seat brands when used with the BRITAX Infant Car Seat Adapter Frame (sold separately). 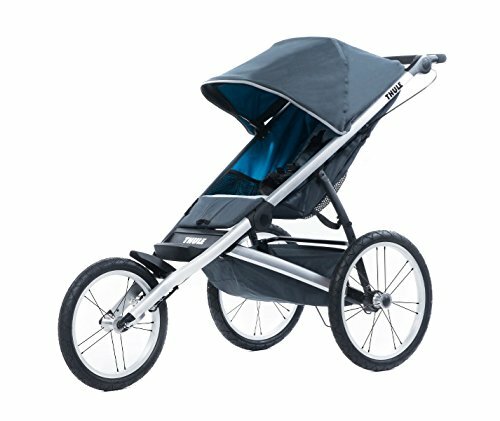 On Amazon.com you can now get this Thule Glide Performance Jogging Stroller for only $199.97 shipped (regularly $319.99)! This stroller features a swivel front wheel for easy easy maneuverability and locks into place for jogging. And you can easily turn this stroller into a travel system with the car seat adapter (sold separately). The padded seat with vented top reclines to a new flat position making it perfect for on the go naps! For a limited time, on Amazon.com where they are offering $100 off select BOB Strollers! On Walmart.com you can now get this Britax B-Agile/B-Safe 35 Travel System Stroller in Sandstone for only $199 shipped (regularly $352.82). The B-Agile stroller is lightweight, maneuverable and super easy-to-fold. It features a one-hand quick fold design and has a 3-wheel configuration with swiveling front wheels. The car seat has a 5-point quick-adjust harness and has an infinite recline feature. On Target.com you can now get this Baby Trend Expedition RG Jogger in Moonstruck for just $95.99 shipped (regularly $119.99) – lowest price! 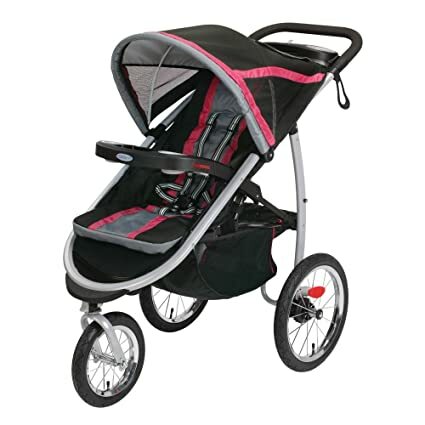 This all-terrain jogging stroller features 16″ rear wheels and air filled tires. It is equipped with a fully adjustable 5-point harness, two cup holders, reclining seat, adjustable canopy, and a large storage basket. Walmart.com where you can now get this Babyroues Letour Avant Infant Stroller with Bassinet for as low as $188.57 shipped (regularly $549)! It has foam filled tires, an insulated organizer bag, cup holder, extended canopies, and much more! Use it as a stroller, or attach the bassinet to the stroller for a bassinet style stroller. 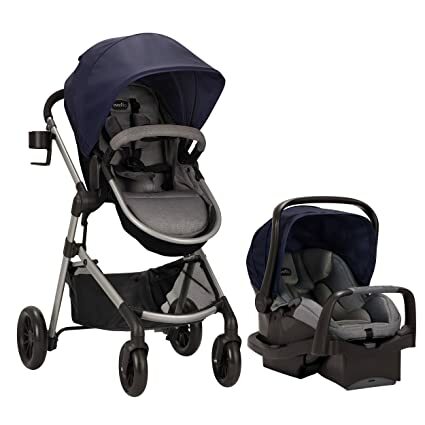 On Amazon.com where you can now get this Evenflo Pivot Modular Travel System in navy for just $223.99 shipped (regularly $279.99) – lowest price! This travel system features six modes of use and converts easily from an infant car seat frame stroller to stroller seat and carriage modes. 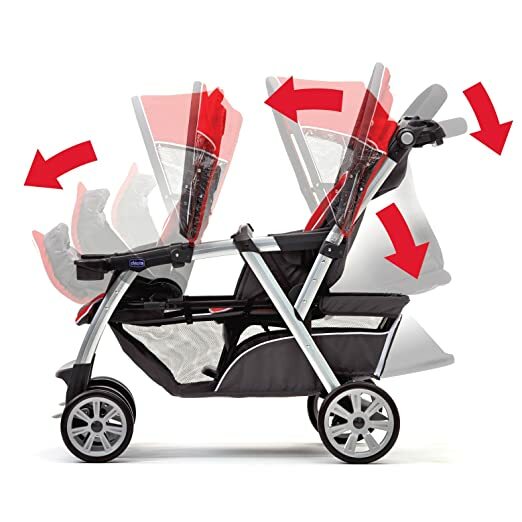 The stroller has an oversized basket and large 3-panel canopy with a peek-a-boo window shield, while the included infant car seat has a stay-in-car base for quick & easy connection.